Feravino Feričanci grows grapes on 160 hectares of vineyards in the Feričanci wine-growing area in Slavonia, the east part of Croatia between Hungary, Serbia and Bosnia. 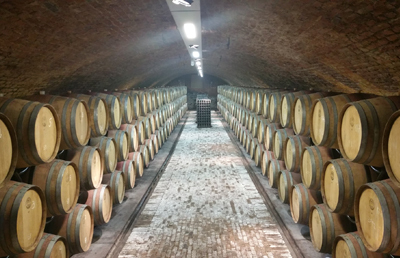 The company owns a wine cellar built in 1962 in the village of Feričanci with 2.000.000 litres capacity. The annual production is 900.000 litres. This makes this winery the largest of the smaller producers in Croatia. The most important grapes they grow at Feravino are Frankovka (blaufrankisch), Grasevina (welschriesling) and Zweigelt (a cross-breed between Frankovka and Lovrijenac). From all these varietals we have wines in our range.